Hong Kong 6 is the stormier version of the preceding level. 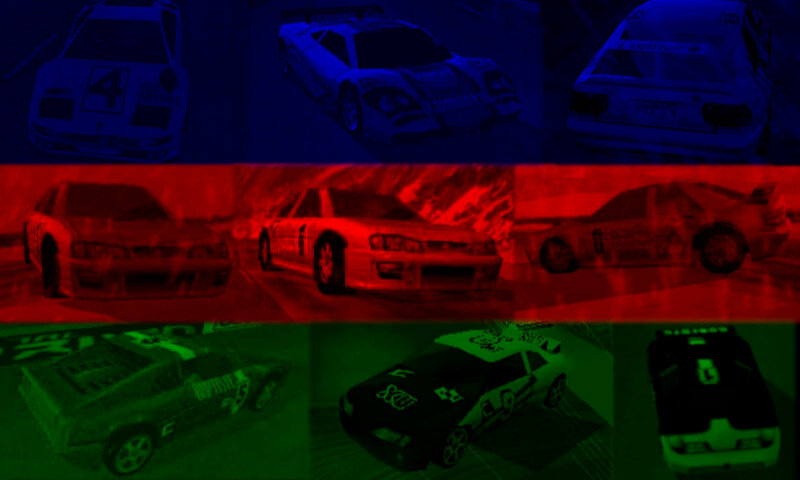 It is the sixth and final level of Hong Kong, raced with Sports cars in the reverse direction. Aside from the weather change, this level’s track is almost identical to Hong Kong 5. However, there is now an S-turn after the second tunnel and an additional barrier near the International Airport. 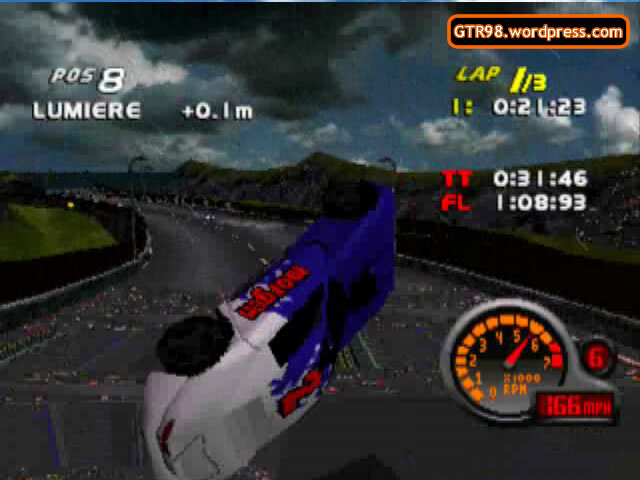 AI Roberts takes the pole position in this level, but his slow start causes AI Xu to immediately overtake him, about three seconds into the race. 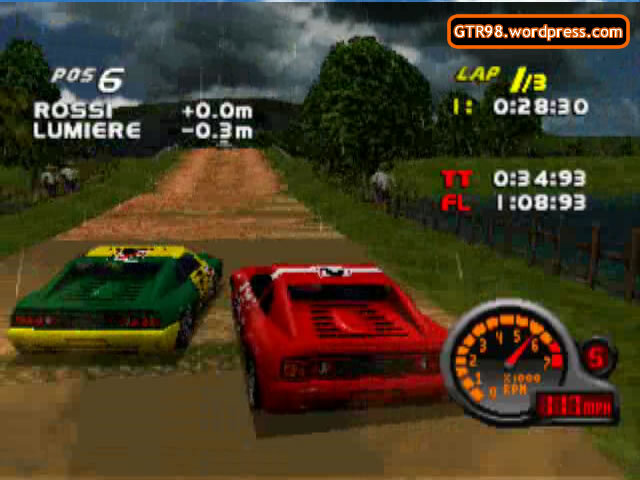 Hong Kong 6 can be played in Split-Screen mode. 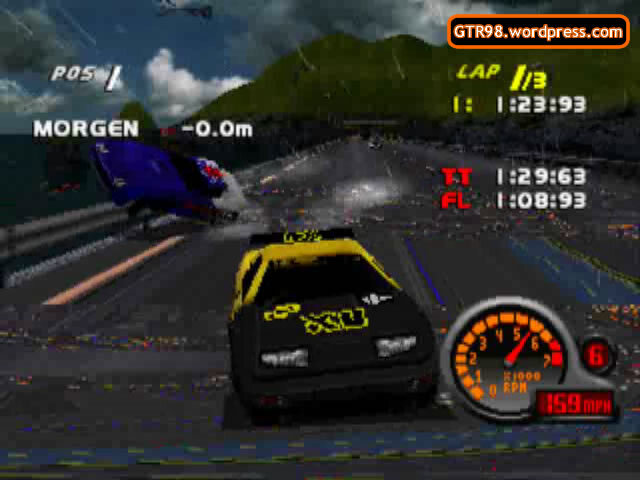 Hong Kong 6 is raced in devastating weather. As the direction is reversed, all cars must pass the major ramp before encountering the long sandy road. Like Level 5, drivers have a choice whether to tackle or avoid the major ramp, as there is a route which allows them to drive under it. Despite the storm, opponents handle the track with more dexterity. After the botched beginning, they become more spread apart as the race proceeds. 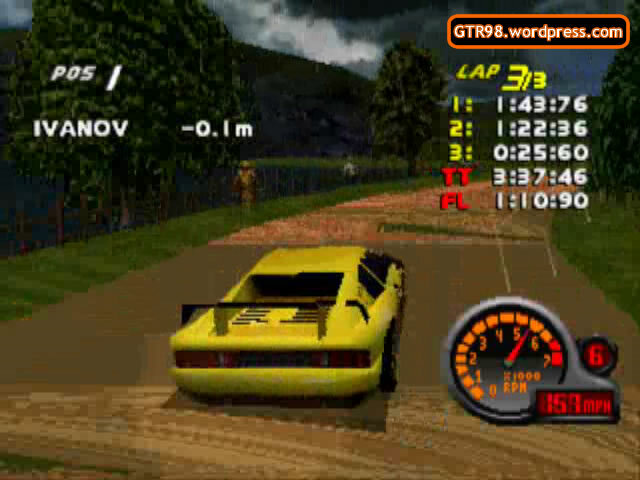 However, most of the opponents dwindle away in the final lap, allowing the player to take over the race. Players may attempt a Semi-Rampage on many parts of the track, as there are streams of water that surround the sandy road, a lengthy bottleneck trail. The major Ramp can also be used to eliminate opponents, as cars which fall under it may not recover. This level is known for its excruciating difficulty when the human player is Morgen. Morgen’s Sports Car is an imbalance of notorious features, providing poor handling and extreme vulnerability in the tamest conditions. Surprisingly, in this level, AI Morgen is capable of controlling this vehicle well. The top speed range is between 170 and 200 mph.